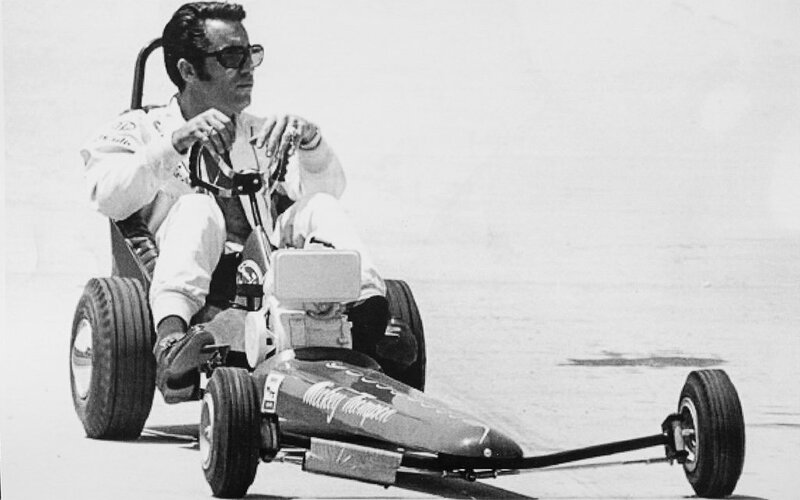 In 1960, Mickey “Stand on the Gas” Thompson took his Challenger 1 car to the Bonneville Salt Flats and clocked 406.6 MPH, then becoming the first American to break the 400 MPH mark. 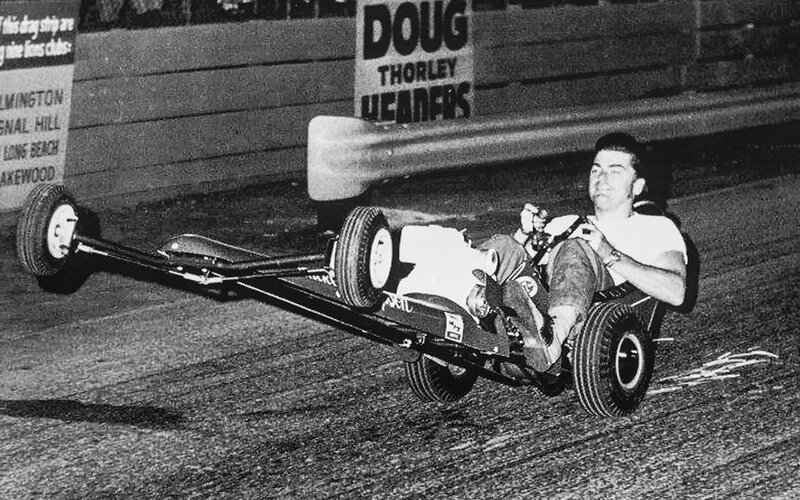 While perhaps not quite as impressive, that was also the same decade he spent two years designing, building and perfecting the chariot seen here, the Mickey Thompson Mini Dragster. 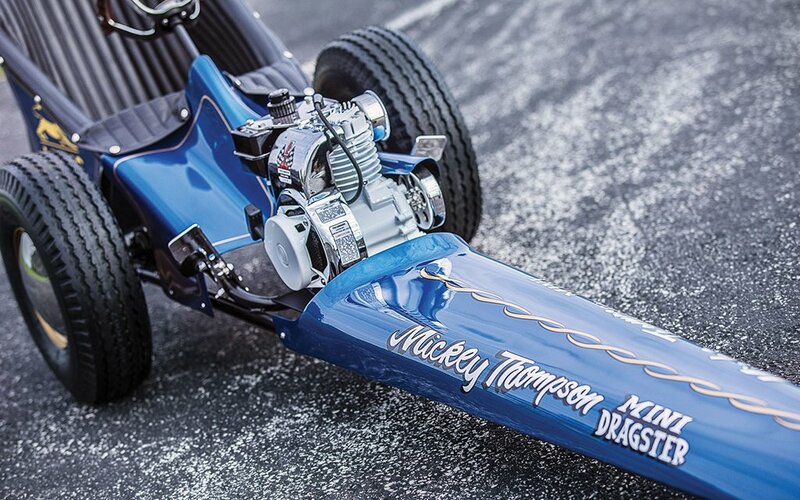 Produced in the late ‘60s and early ‘70s, the MT Mini Dragster was modeled after the full-size models that Thompso tore up tracks with as both an amateur and professional racer. 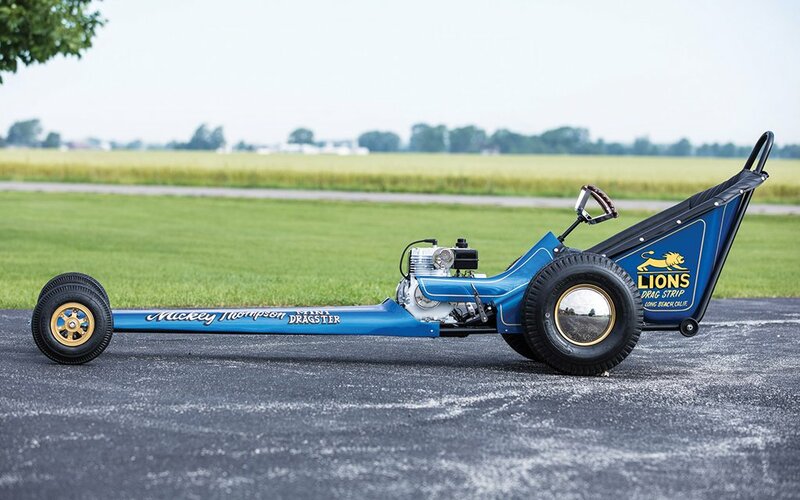 Sadly, unlike the larger rear-engine dragsters, the 3-HP MT mini is only capable of hitting 20 MPH. 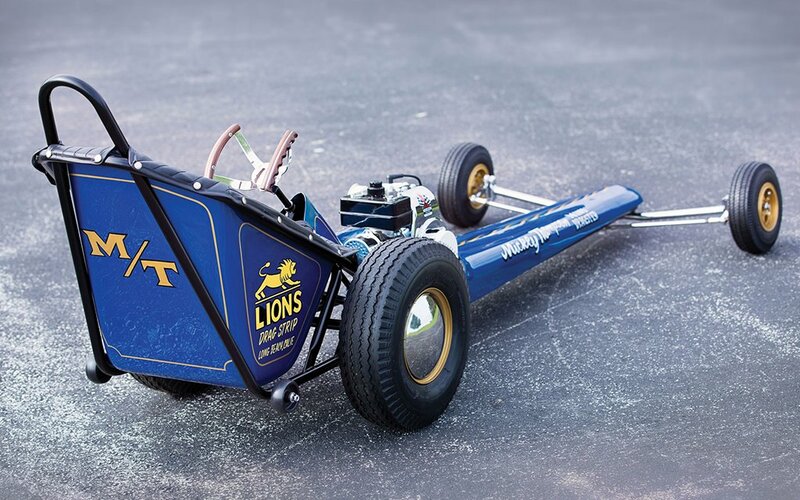 That doesn’t mean the lightweight ride isn’t tons of fun, though, as its true bucket seat has enough lean-back room to make Fat Joe happy, while popping wheelies is an option thanks to an air-cooled engine with a centrifugal clutch and no gears. Since the production numbers for the MT Mini are so low, examples like this 1970 model are actually quite valuable: RM Sotheby’s expects to fetch as much as $30,000 for it at auction later this month. 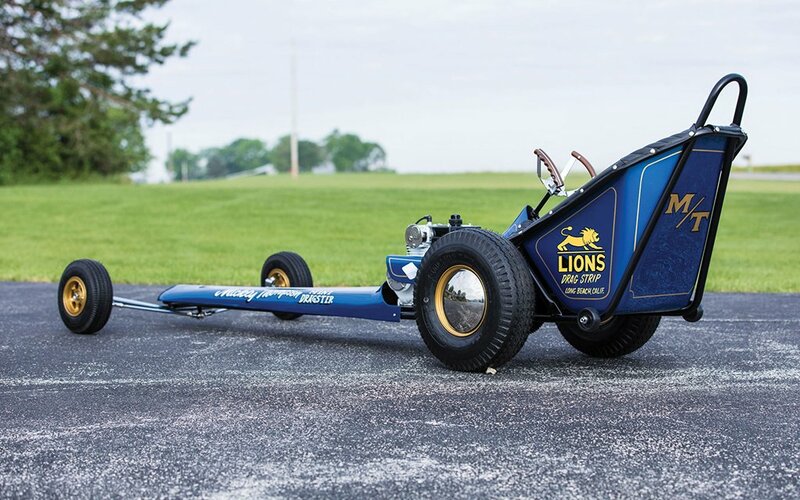 To learn a little bit more about the model or register to bid, check out the listing in full.